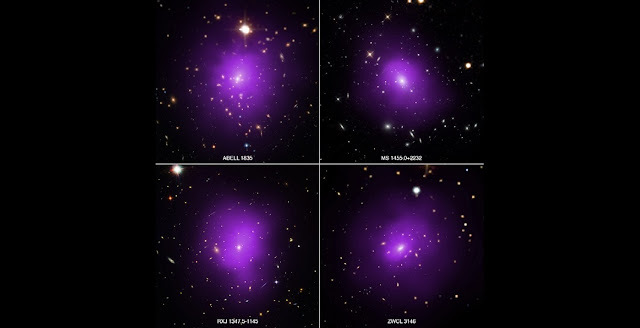 Astronomers have used data from NASA's Chandra X-ray Observatory, ESA's Planck and a large list of optical telescopes to develop a powerful new method for investigating dark energy, the mysterious energy that is currently driving the accelerating expansion of the universe. The technique takes advantage of the observation that the outer reaches of galaxy clusters, the largest structures in the universe held together by gravity, show similarity in their X-ray emission profiles and sizes. More massive clusters are simply scaled up versions of less massive ones.